Not having a good grip is especially dangerous when you are handling hot objects. 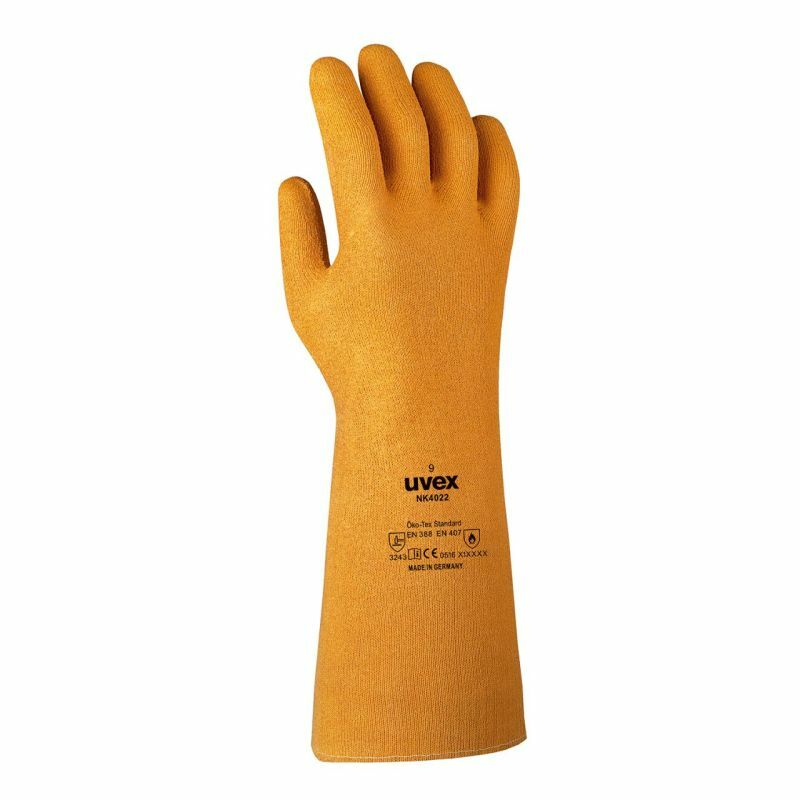 The Uvex NK4022 40cm Heat-Resistant Aramid Safety Gauntlets protect from most mechanical hazards and contact heat up to 100°C, while their rough surface and nitrile rubber coating ensure a good grip even in wet, oily and greasy conditions. The NK4022 Heat-Resistant Aramid Safety Gauntlets are available in two sizes. Please measure the circumference of your hand around the knuckles (excluding the thumb) with your hand open and your fingers together, and the length of your hand from the tip of your middle finger to your wrist.